In book “The Work of Authorship”, Professor Mireille van Eechoud of the University of Amsterdam takes us to the changing paradigms of the copyright laws in European countries and other advanced countries at the beginning of the 21st century. In a dynamic era of digital publishing and electronic dissemination of knowledge resources, the copyright laws are bound to change to accept and accommodate the dynamic structures of knowledge production and creative expressions. Now, the academic authors are more concerned to make their published scholarly works widely available than confining their works within the copyrighted paywalls limited to the subscribers. On the other hand, the creative writers and music composers are concerned over protection of their original works from the unauthorized copycats in a widely distributed digital world. 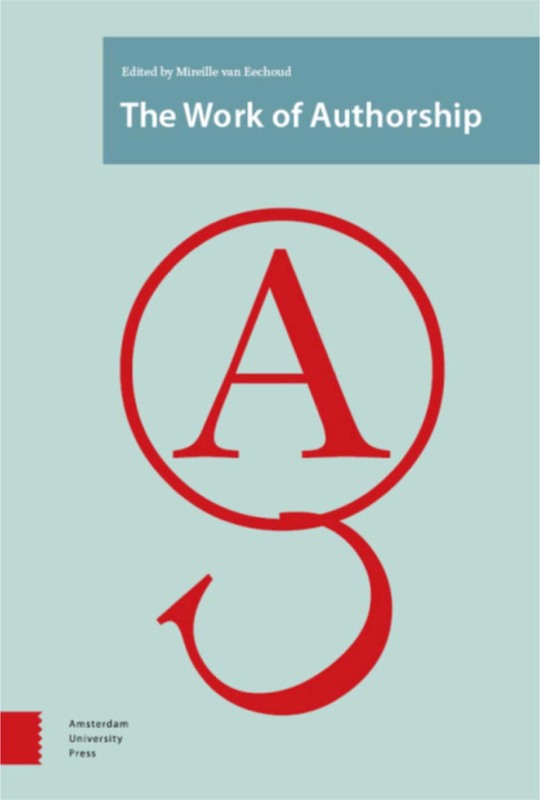 The book is a collection of eight scholarly essays, while the concepts traverse from the philosophical foundation to the historical development of copyright laws in the world in general and in Europe in particular. The authors of different chapters attempted identifying how insights from a variety of humanities disciplines can help to have better interpretation and construction of copyright laws. The book is an outcome of a research study “Of Authorship and Originality: Reclaiming Copyright in Support of Creative Collaboration in the Digital Environment (OOR),” supported by EU’s Humanities in the European Research Area (HERA) Joint Research programme (2010-2013). In this project, the investigators argued that evolving copyright policy would require facilitating the needs of creators to engage with existing works and materials without having to seek prior authorization. In Introduction chapter of the book, Eechoud’s arguments built upon how the copyright laws grant extensive rights to control the reproduction, adaptation, and communication of ‘literary’ and ‘artistic’ works. He argues that the twin concepts of authorship and originality are central to copyright laws the world over (page 7). The book enlightens the readers to overcome the hardship of understanding ‘many voices, confusing sounds’ while dealing with the ‘intellectual creations and their authors’ in a modern era of collaboration and partnership. Recently between 2009 and 2012, the Court of Justice of the European Union (CJEU) confirmed that copyright extends to subject-matter that is original in the sense that it is the ‘author’s own intellectual creation’ and that no other criteria may be applied to determine its eligibility for protection. In a long essay titled “Creative, Autonomy and Personal Touch”, Stef Van Gompel examines “what the elements ‘free and creative choices’ and the author’s ‘personal touch’ entail and how limits to creativity, autonomy, and expression of personality in creative processes may have a bearing on the practical application of the CJEU’s originality test” (page 97). He examines the cases where large-scale collaborative productions, joint works, group creations, or the works those are in a constant process of evolution (e.g., open source software, Wikipedia entries, collaborative music productions). Since CJEU originality test would create problems in such cases, the author suggested the originality test should instead focus on group level creativity than on individual creative choices. In the chapter titled “Reassessing the Challenge of the Digital: An empirical perspective on authorship and copyright,” Elena Cooper examines the challenges pertain to digital media for creative expressions through a prism of five case studies. In the first case, a visual artist and the interdisciplinary team at the National Centre for Supercomputer Applications of Illinois, USA (NCSA) got engaged in a science and the art project by creating visualization effects or visual interpretation of scientific data. The NCSA’s Renaissance team included a visual artist, a cinematographer, and a computer scientist for scientific visualization of Hurricane Catrina of 2005. In a different project, the Renaissance team examined Leonard da Vinci’s anatomical and botanical drawings for explaining the advent of science visualization during his time. In another case, Cooper looks at the active role of the audience or user in interactive digital works. In the end, the Cooper reassures the multiple authorship or multiple contributors should be factored in determining copyrights in collaborative digital media platforms. Jostein Gripsrud, in his chapter titled “Creativity and the Sense of Collective Ownership in Theatre and Popular Music,” takes a similar view of complexity in determining authorial attribution in creative projects involving collaborative expressions of the performers and authors of literary and artistic works. In the chapter he recommends to consider three proposals, namely, (i) Dreyfuss’s proposal for a concept of ‘collaborative work’ (which is distinct from ‘collective works’ or ‘works of joint authorship’), (ii) Lastowka’s proposal to strengthen attribution, involving an accurate authorial attribution, and (iii) A more reflexive concept of authorship for attribution, based upon ‘relevant contributions’. The book, thus, helps us in understanding the complex matters related to authorial attributions, collaborative creations in a new light with the new conceptual frameworks. This book is recommended to scholars and practitioners engage in research in the frontier areas of intellectual property rights, scholarly communications, and science policy. The open access downloadable version of this book is now available on OAPEN.org website.